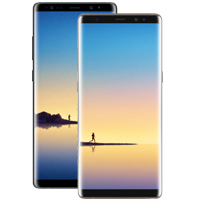 The Samsung Galaxy Note9 doesn’t just feature a massive 6.4 inch Infinity Display, it also boasts a 12MP dual camera, super-fast processor, and a redesigned S Pen which now features Bluetooth capabilities. £1129 total cost over 2 years What's This? £1186 total cost over 2 years What's This? £1312 total cost over 2 years What's This? £1362 total cost over 2 years What's This? £1457 total cost over 2 years What's This? £1002 total cost over 2 years What's This? 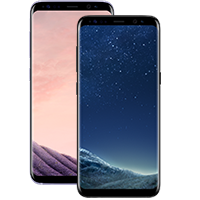 For anyone who likes their phones on the larger size, the Samsung Galaxy Note 9 stands apart. It manages to cram the high-end features you would want into a still surprisingly svelte package. Of course, the larger size of the phone affords a massive display at 6.4 inches - perfect for watching video. The Note 9's OLED display, with pin-sharp 2,960 x 1,440 resolution, is stunning. It has perfect black reproduction and vibrant and punchy colours. The bezels are razor thin, too, and there's no notch in sight. 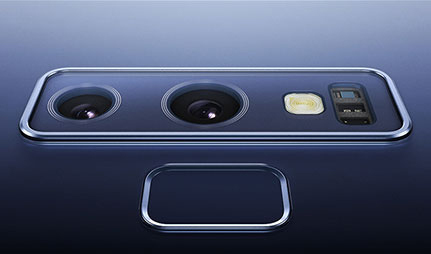 The camera, which is new for the Note series, takes the best parts of the Galaxy S9 Plus. That means it now has a 12-megapixel camera with a variable aperture. This lets the camera adjust to the light conditions, so when it's dark it lets in more light for sharper shots in tough conditions. This works alongside a second 12-megapixel camera that allows for 2x zoom. These combine to take some fantastic shots. One of the biggest improvements over the previous Note 8 is the battery capacity. It's now increased to 4,000mAh (up from 3,400mAh) meaning you no longer have to worry about getting through the day on a single charge. Round that all off with the productivity powerhouse S Pen and the Note 9 is one of the best big phones going. 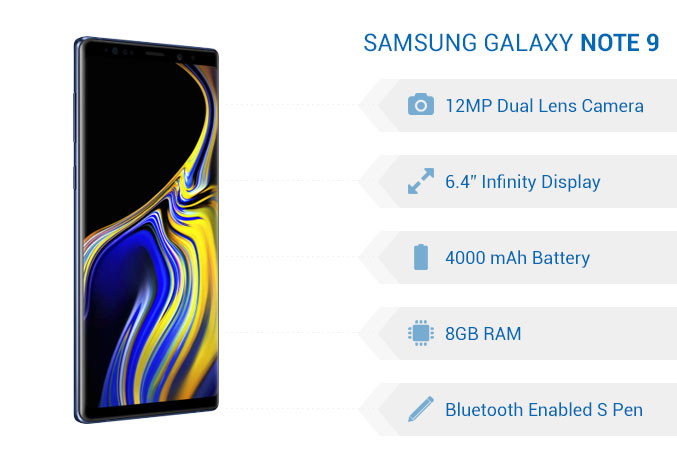 If you're a fan of blockbuster movies and TV box-sets, get closer to the action with the impressive 6.4 inch Infinity Display on the Samsung Galaxy Note9. With split-screen capabilities also available, you can multi-task between tabs, and focus on two things at once. For those times when a bigger screen is necessary, transform your Note9 into a home PC using DeX functionality. With HDMI accessories (sold separately) you can connect the Note9 to a monitor, keyboard and mouse for a desktop style experience. 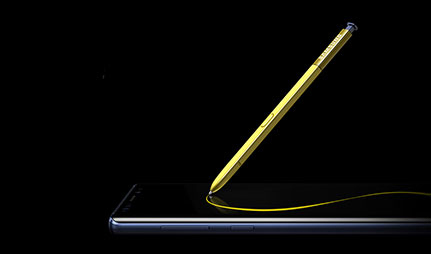 Always a popular feature on the Samsung Galaxy Note series, the S Pen returns for the Note9 with a reinvented design. Now Bluetooth enabled, this smart stylus is more than just a pen, debuting a host of exciting extra features. With a Bluetooth range of up to 10 meters, you can now use the S Pen's button to take selfies at a distance, or as a presentation clicker to navigate through slides. Additionally, the S Pen is still adept at sketching and scribbling, even on a sleeping screen thanks to the Screen Off Memo feature. Enjoy professional-looking photos with the 12MP Super Speed dual rear camera on the Samsung Galaxy Note9. This cutting-edge lens uses Intelligent Camera technology to automatically adjust to your environment, while the Dual Aperture set-up ensures perfect results in any lighting condition. With an 8MP front-facing camera also on board, you'll be sure of stunning results whichever way you're shooting. Luckily, there's no need to worry about storing all those memories, as the Note9 is equipped with a choice of 128GB or 512GB of internal memory, so you'll never be short of space. Stay charged for the whole day with long-lasting power on the Note9. From big days at the office to hours of exploring, this whopping 4,000 mAh battery is ready to go the distance, both charging faster and lasting longer. Get surfing at super-fast speeds with a cutting-edge processor, built to keep you connected. 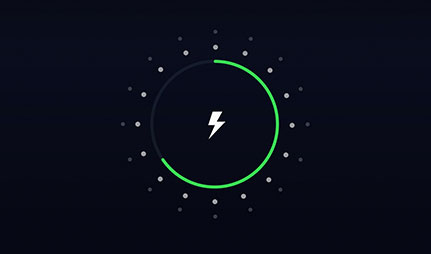 Whether you love to play the latest games, download files, or just browse the web, you'll experience rapid internet connection without the lag. 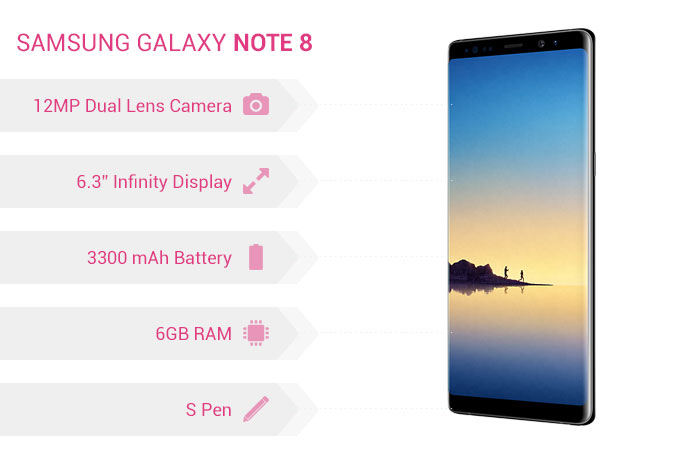 The Samsung Galaxy Note9 offers numerous improvements on the already-impressive Note8. One of the most significant upgrades regards the popular S-Pen stylus, which now boasts Bluetooth capabilities. 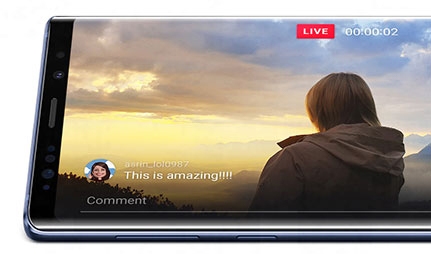 This means that as well as using the S-Pen for writing and sketching, it can be also used remotely as a camera button for remote selfies, or as a presentation clicker. Other upgrades include a display bump from 6.3 inches to 6.4 inches, and a memory increase from 6GB RAM to 8GB. You can expect longer battery life from the Note9 too, courtesy of a battery size of 4000mAh compared to the Note 8's 3300mAh. This means extra support for browsing, surfing, and streaming, to keep you powered up for the day. If you're at the end of your existing tariff, why not upgrade to a new mobile phone to a new Samsung Galaxy Note9? 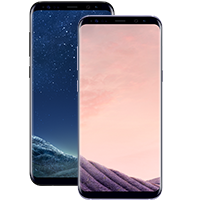 With upgrade options available across major networks such as EE, O2 and Vodafone, you can enjoy the latest flagship phone while keeping your current number, hassle-free. 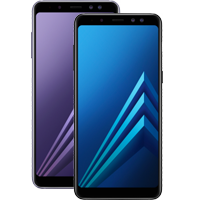 If you don't want to sign up to a 24 month contract or upgrade, the Note9 is also available to purchase SIM free for a single upfront cost. Keep your monthly costs to a minimum by paring your new Galaxy Note9 with a SIM only deal. Looking for a reduced-price alternative? 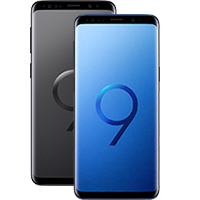 Keep your eyes peeled, as refurbished Note9 deals will be added soon. Refurbished phones are the perfect way to get the latest tech in your pocket at a lower cost. 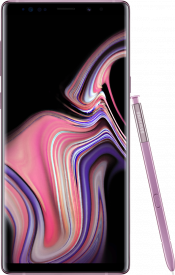 The latest handset in the Samsung Galaxy Note series, the Samsung Galaxy Note9 is jam-packed with amazing features. Need a little help setting up and using your new Samsung Galaxy Note9? Our comprehensive guide tells you everything you need to know.